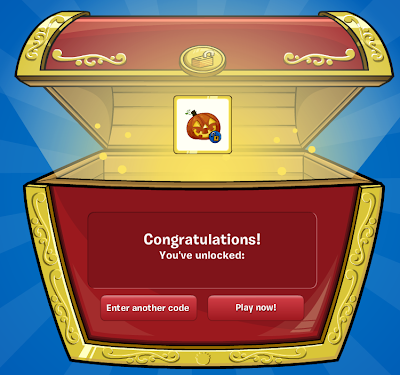 Club Penguin Cheats by Mimo777 Club Penguin Cheats by Mimo777: Club Penguin Pumpkin Head Cheat! 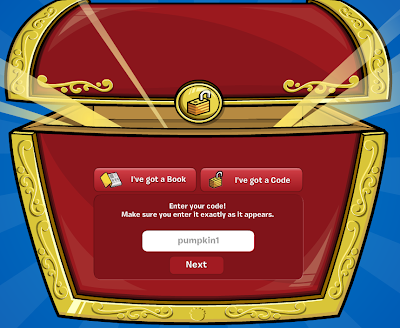 Club Penguin has a secret code to unlock a new Pumpkin Head! Step 1. Click the "Unlock Items Online." Step 2. Click "I've got a code." Congratulations! You've unlocked the Pumpkin Head cheat! Check out Mimo wearing the Pumpkin Head! 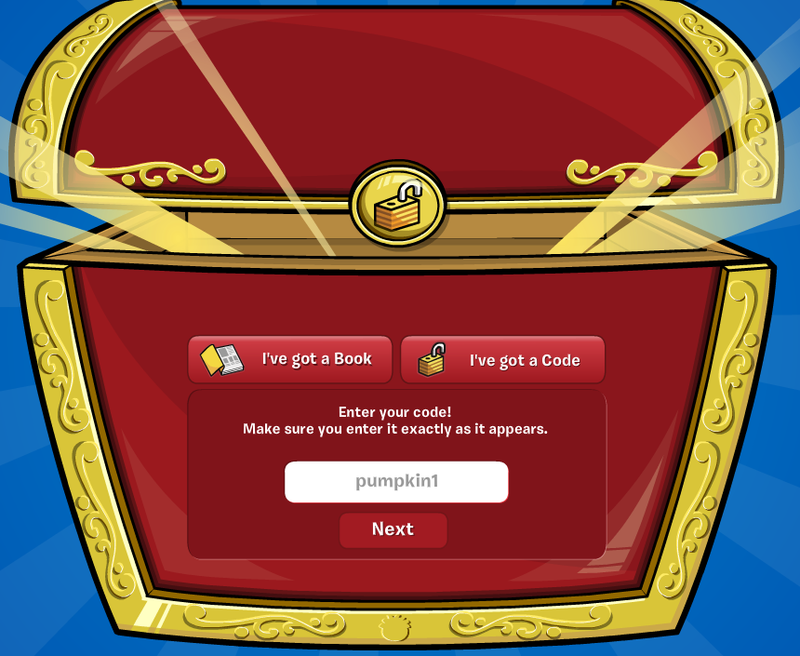 Hey Mimo, thanks for the pumpkin code! WOAH!!!!! I like it better than the 2009 member one because its glowing!!! Thank you so much for posting it because I was asking everyone how to get it but they wouldn't answer! 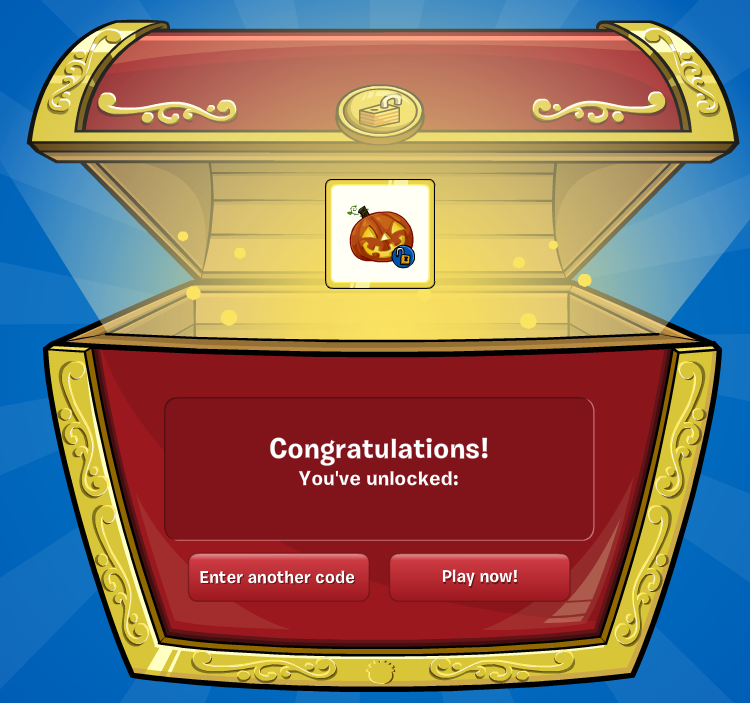 Yay!Thanks for the code!This item is awesome! 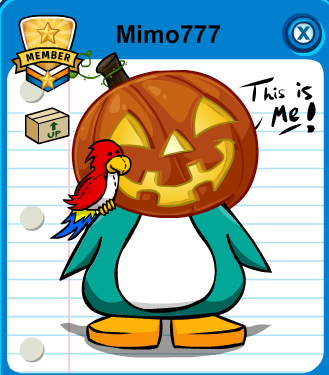 um I'm an older penguin an that's just the old pumpkin head just that its lit up not much of a change correct? Yeah thanks mimo that is a rare head item thx!!!!! Yeah, but this one GLOWS. That's so cool. No, its slightly different. This one is darker, and it is glowing. Don't you just hate when people do that? Thaank you mimo, I can't believe cp are giving us all this awesome free stuff, I hope they carry on!! Thank you Club Penguin very much for fixing the buddy bug and not being able to see them! I think I know why we are bigger in our igloo's now! Maybe because puffle hats take so much room? Is that the reason? Did you guys change the login screen because it says Next instead of Login!. Well that was longer than on the page XD. Thx for the code mimo777! Just to say, all the penguins have turned black and you can't change color! Plz post this story on ur blog! is there a code for the music jam shirt? or a hallowen shirt? Braceface27, please no pointing out others! mario30206, sorry there is no shirt codes avalible right now! Mel77114, that was just an editors mistake. you can change colors again now. It is cool isn't it? is there a code for the music jam shirt? or a halloween n shirt? No, there isn't a code for the Music Jam shirt it was a free item in Music Jam 2008 and a halloween shirt sounds cool! Thank you Braceface27 for making my comment being moderated for the FIRST time! No prob! Helping people is fun! Just type the code in and you should get it. There is nothing to click on. Try again. I didn't have to "press it" to get it. Maybe you actually have it already but you didn't realize it? What do you mean you didn't press it? you should be able to get it without "pressing it". Try again, or maybe you got it already but you don't realize it. What's goin on with rockhopper?? He is still close to the light house like 1rangerfan1 said! It looks good on top of the headless horseman costume. It shouldn't have gotten you banned. I would contact Club Penguin immediately. It does doesn't it? I saw someone wearing it with the Headless Horseman costume! Sad thing I don't want the Headless Horseman costume because it is too scary for me. ~~~~~~~~~~~~~~~~~~~~~~~~~~~~~~~~~~~~~~ Umm? There is two. D23EXP11 and FreeHood. She shouldn't have. I would contact Club Penguin Immediately. I’d need to analyze with you right here. Which can be not something I generally do! I consider satisfaction in looking at a article which will make people believe. Furthermore, many thanks for permitting me to comment!